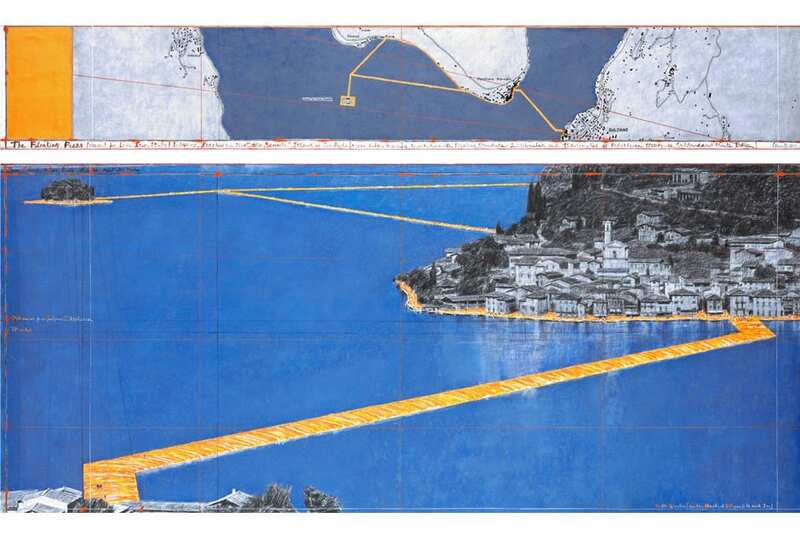 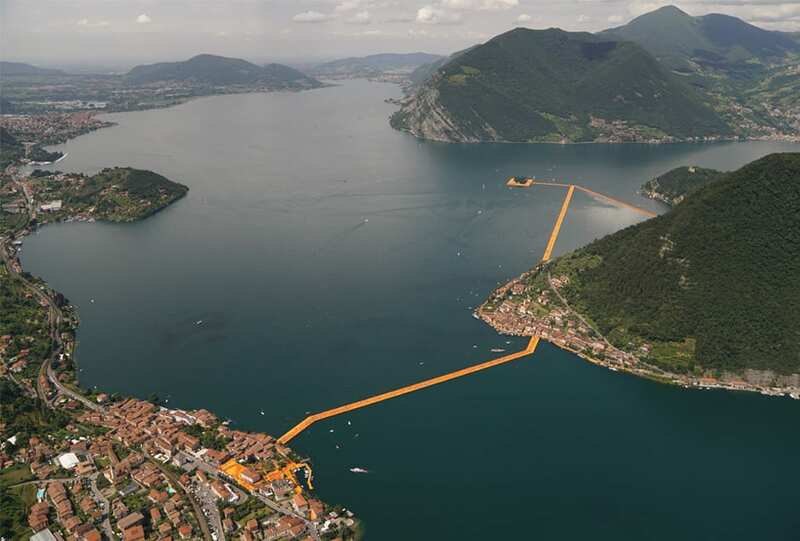 1/10 Christo and Jeanne-Claude The Floating Piers, Lake Iseo, Italy, 2014-16, PHOTOGRAPHY Wolfgang Volz © 2016 Christo. 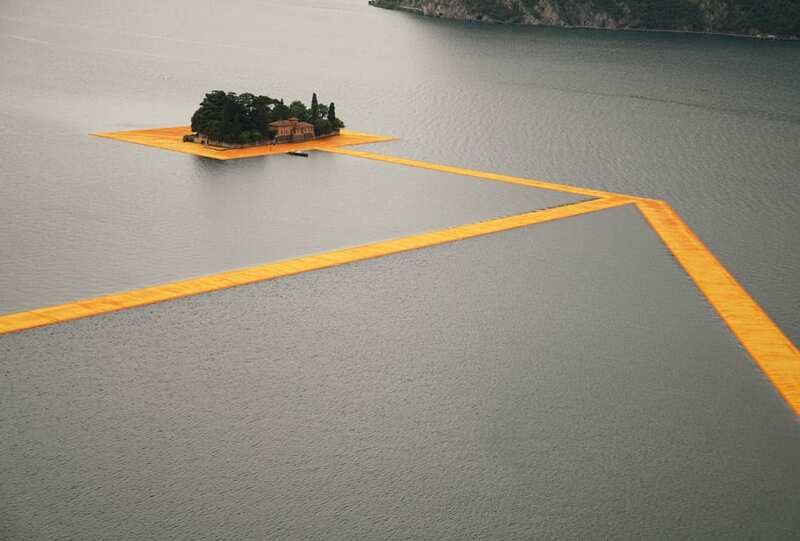 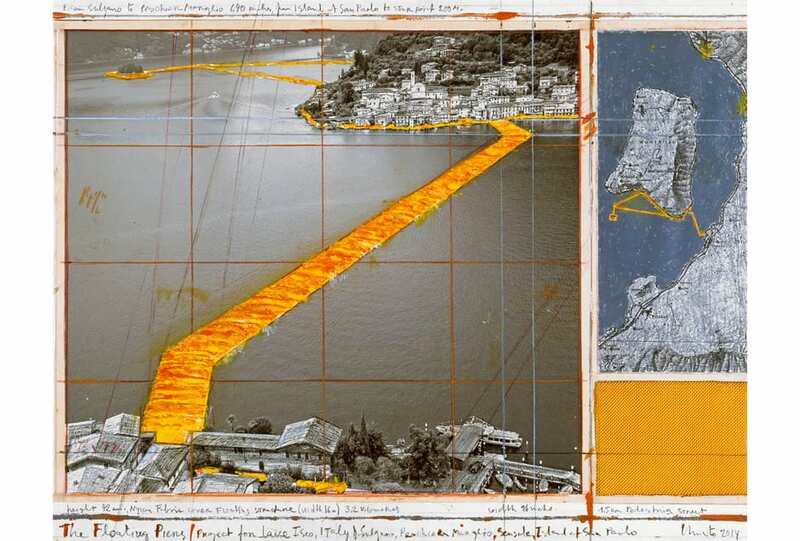 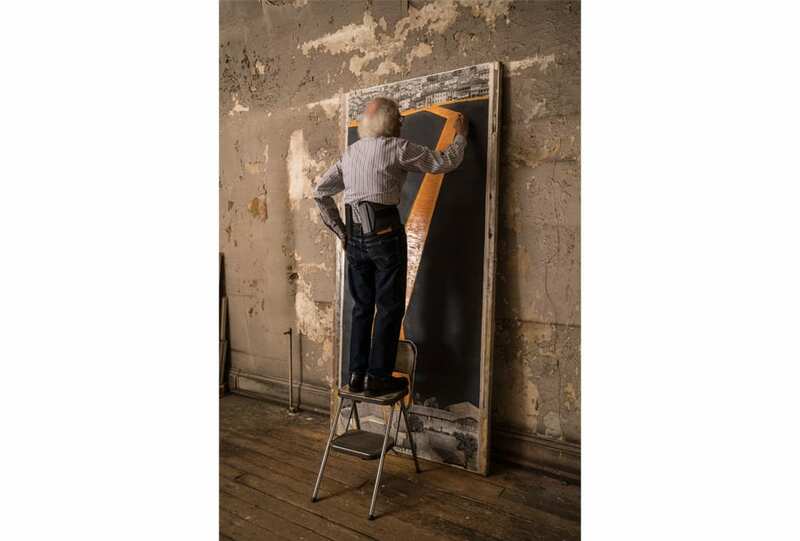 Forty-six years of planning and 100,000 square metres of yellow fabric went into the latest creation by always visionary artist, Christo. 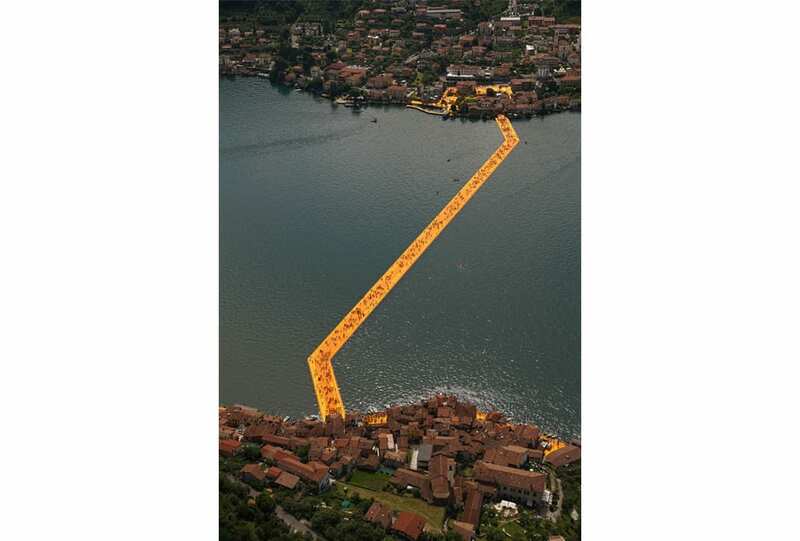 Taking the form of waterborne walkways stretching across Northern Italy’s Lake Iseo to connect the island of San Paolo, the islet of Peschiera Maraglio, and the town of Sulzano, The Floating Piers are Christo’s first major public work since 2005, when he and late wife Jeanne-Claude unveiled The Gates in Central Park. 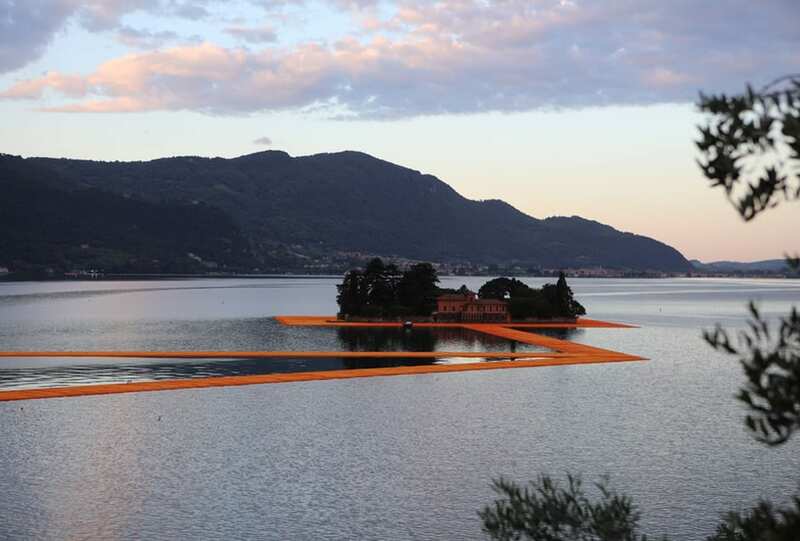 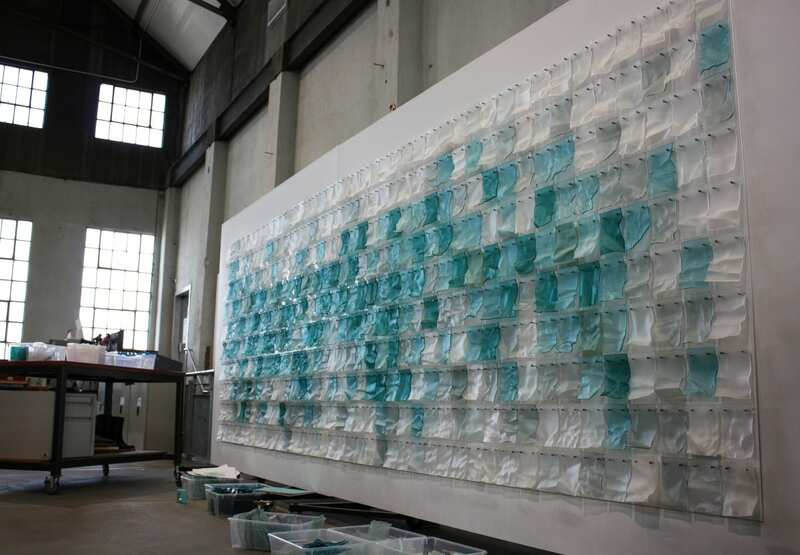 Their other installations have included the pink Surrounded Islands in Biscayne Bay, Florida, Wrapped Reichstag in Berlin and Wrapped Coast in Sydney’s Little Bay. 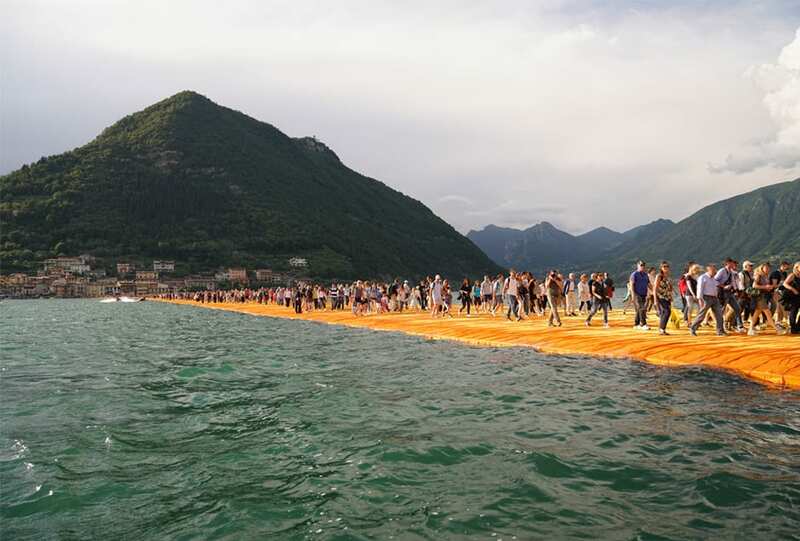 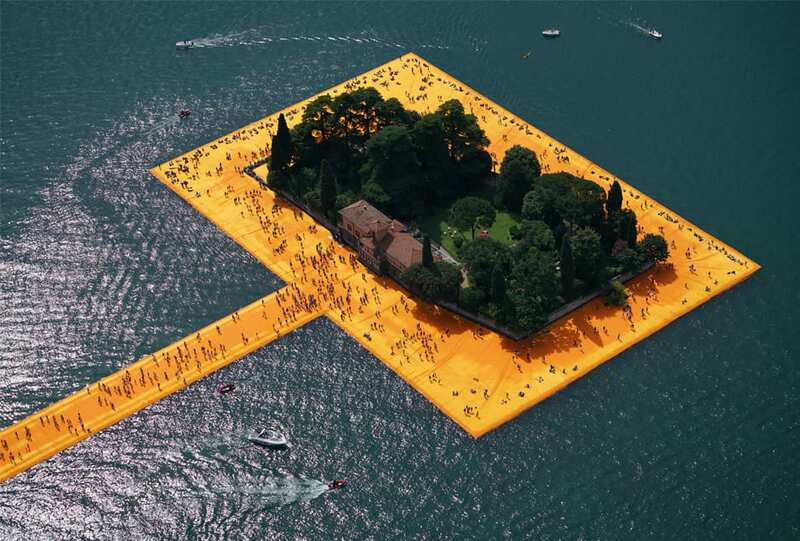 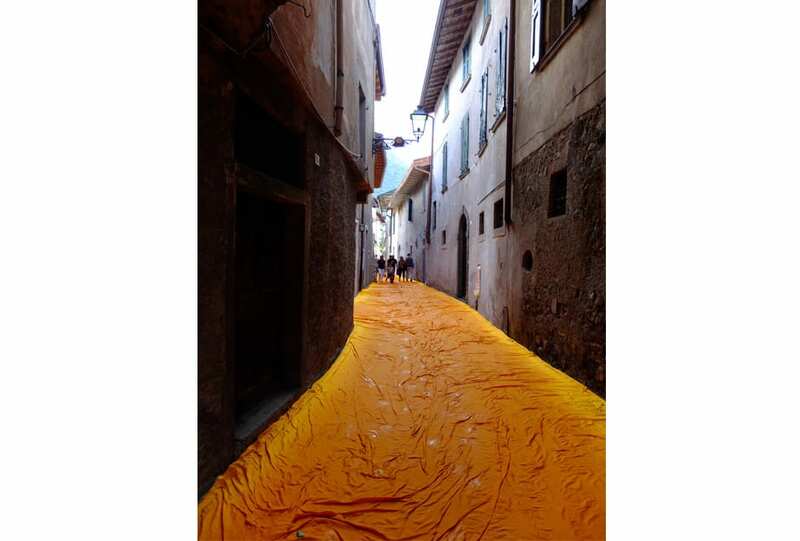 Walking The Floating Piers is free – just make sure you get there by July 3, after which that golden path will only remain in photographs and memories.